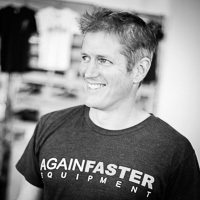 Gene Suna is the CEO of Again Faster Australia / New Zealand. He is the "Rainmaker". Gene comes from Powerful Corporate Background - Microsoft - but left there to to start Again Faster in Australia. He was a teams competitor in the 2009 CrossFit Games in Aromas and still competes once or twice per year.